As branded content matures as a medium, the films produced for marketing purposes are increasingly indistinguishable from mainstream entertainment. Gathered here are some of the most poignant and innovative brand films of the year, arranged alphabetically by brand. Help us decide which one is the best by taking our poll below the videos. See the end of the article for full credits for each film. BMW’s branded film series "The Hire" debuted in 2001 and racked up more than 100 million views in the days before widespread high-speed internet. 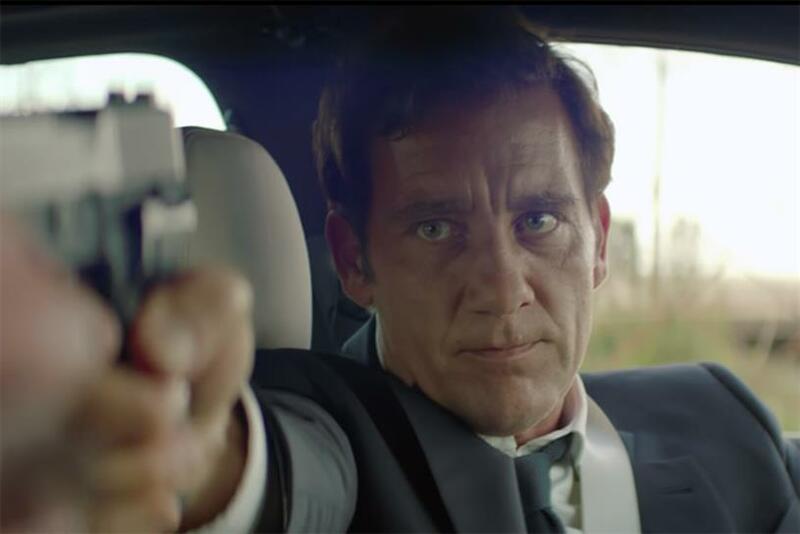 Fifteen years later, Clive Owen reprises the role of "The Driver," a stoic wheelman with a preference for German engineering. Unlike most branded content, this film doesn’t treat the merchandise with kid gloves. The 5 Series sedan gets shot up and smashed, but fear not—The Driver never becomes The Hitchhiker. When it comes to fast-food preparation, it is best to keep it simple. That is what Chipotle Mexican Grill is trying to convey in its animated short film, "A Love Story." The film follows the story of Evie and Ivan, two budding entrepreneurs who start out innocently enough selling orange juice and lemonade. Their simple concepts, however, grow into something neither of them initially intended. Time-tested aphorisms meet the scientific method in this film series from General Electric featuring actual GE employees in unconventional laboratories. Can a snowball survive hell on earth? More important, does GE take requests? Please build a dead man who does tell tales. Scene: a speeding passenger train. It is snowing. Cue forlorn conductor. It is Christmas Day, and all is not well. Adrien Brody channels a bit of Zero Moustafa in this holiday film unmistakably directed by Wes Anderson. It features a quirky ensemble cast, arrayed in the H&M Christmas 2016 collection. Hey, if you can’t be on time, at least be on trend. Podcast Just Not Sports launched a campaign called #MoreThanMean to shine a light on the harassment faced by female sports reporters. As part of the campaign, a powerful PSA was created involving "everyday guys" reading aloud the mean tweets female sportscasters receive online to Julie DiCaro from CBS’ 670 The Score and ESPN.com’s Sarah Spain. The men reading the tweets almost can’t get the words out as they repeat violent insults the women have received online. In the face of the comments, DiCaro and Spain maintain their poise and grace. Kenzo World’s first perfume ad debuted this summer in the form of an insane music video directed by Spike Jonze. The ad stars Margaret Qualley, who appears to become possessed after excusing herself from a stuffy event room. This heavily branded animated short film tells the story of a lonely widow in Chicago whose spirits are lifted after she gets a new lease on life as a Lyft driver. The film, inspired by the Lyft community, features an original song, "Movin," by former Lyft driver Sir the Baptist. The latest installment of Prada-owned fashion house Miu Miu’s long-running film series "Women’s Tales" follows a day in the life of female skateboarders in New York City’s Lower East Side. Aside from the stipulation that characters must wear Miu Miu clothing at some point—beautifully and incongruously incorporated here—the directors have free rein to create whatever they want. "That One Day" is the second film from Crystal Moselle, whose debut documentary "The Wolfpack" won a Grand Jury prize at Sundance. Although this action-and-color-packed music video takes place in 4.2 seconds of real time, it unfolds in slow motion to demonstrate that amazing things can happen in a moment. Creating a viral, innovative video is nothing new for rock band OK Go, but it is part of 168-year-old Morton Salt’s first masterbrand campaign. It includes the brand’s "Walk Her Walk" mantra – a call to action for people to step up and become a force for good. Poor balding, overweight Terry wanders the streets of Manhattan, trying to keep his neuroses in check with an unrelenting internal monologue. If only, he laments, he had some sort of method to capture moments in time so he could relive them again and again. Alas, only the mind is capable of that feat. Right? Ray "Leland Palmer" Wise voices the imaginative grandfather in this fantastical tale of multigenerational make-believe. The film is inspired by the life of Antonio Pasin, the Italian immigrant who created the beloved Radio Flyer wagon and applied mass production techniques to bring it to an entire nation’s children. Sandy Hook Promise, a nonprofit led by family members of the survivors of the December 2012 Sandy Hook Elementary School massacre, created a PSA that cleverly shows how easy it is to miss the warning signs that someone could be planning such a shooting. Starbucks’ 10-part original content series, "Upstanders," was created to inspire Americans to engage in acts of compassion, citizenship, and civility. "A Warrior’s Workout" has garnered the most YouTube views to date, with 182,919. The film tells the inspirational story of former pro football player David Vobora, who gave up a lucrative career in private fitness to work with wounded vets. Which brand film do you think is the best? The 2nd annual Brand Film Festival, brought to you by Campaign US and PRWeek, will showcase the year's most artistic, creative and effective branded content films, from YouTube videos to long-form documentaries. Enter today! Deadline is: February 6, 2017. Title: BMW Film "The Escape"
"#MoreThanMean—Women in Sports 'Face' Harassment"